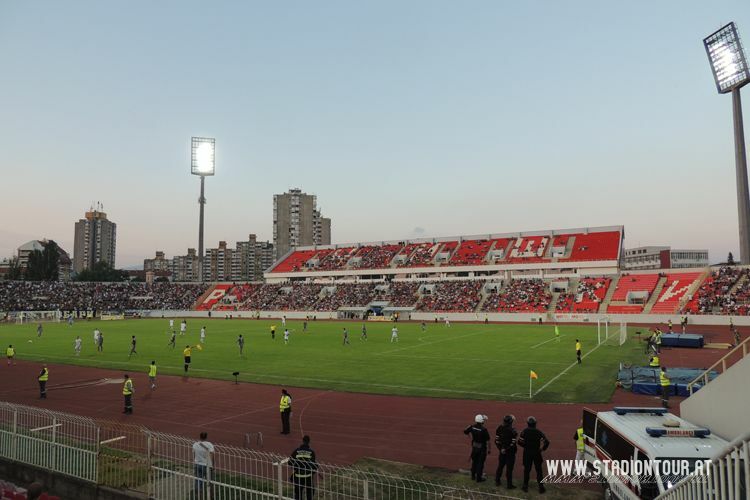 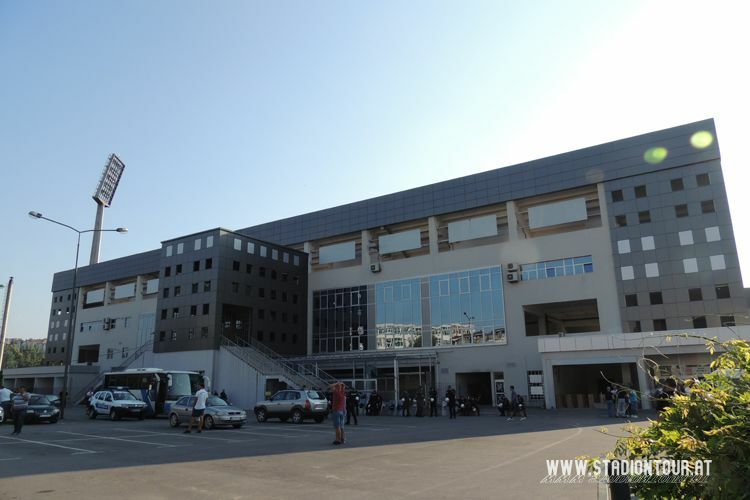 One of the most important Serbian stadia outside Belgrade was opened in Niš in 1963 and hosted its first international game of Yugoslavia a year later. 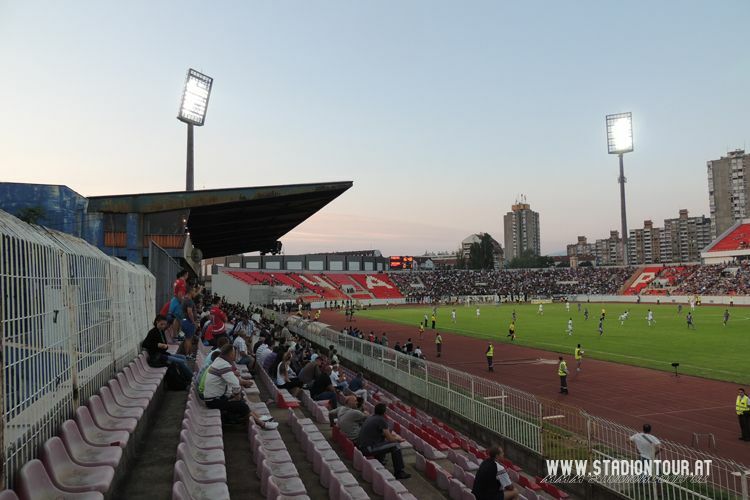 However, only two such fixtures were held here. 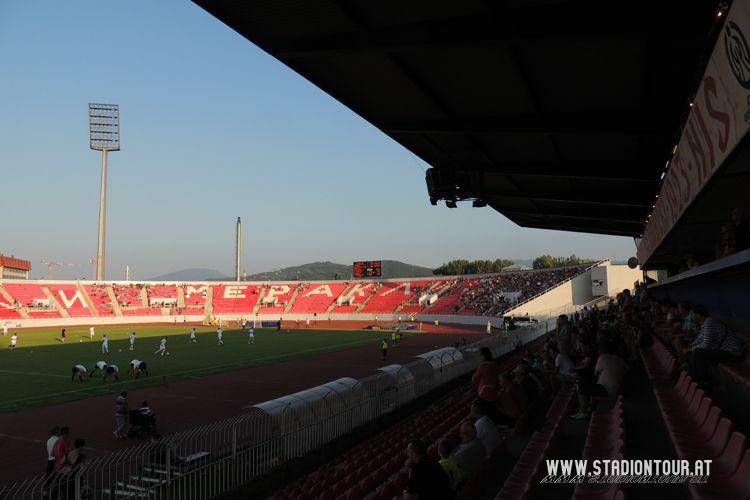 Top fixtures of Radnićki still drew huge crowds, reaching the capacity set at some 40,000 at peak. 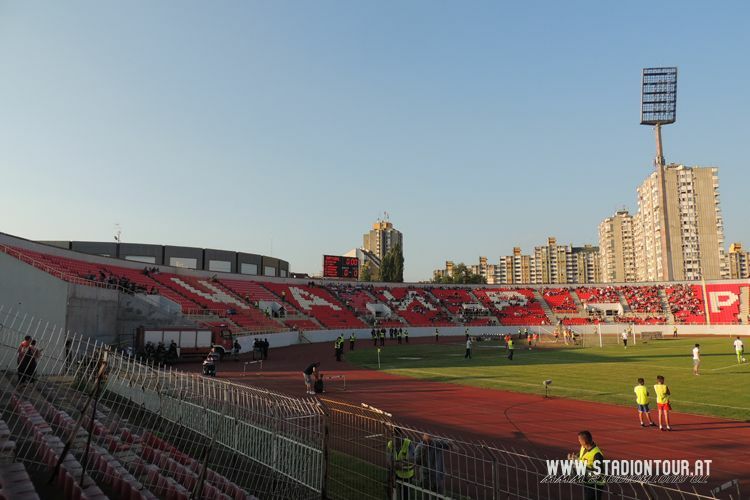 This size proved very problematic as regime change came and funds for maintenance were scarce. 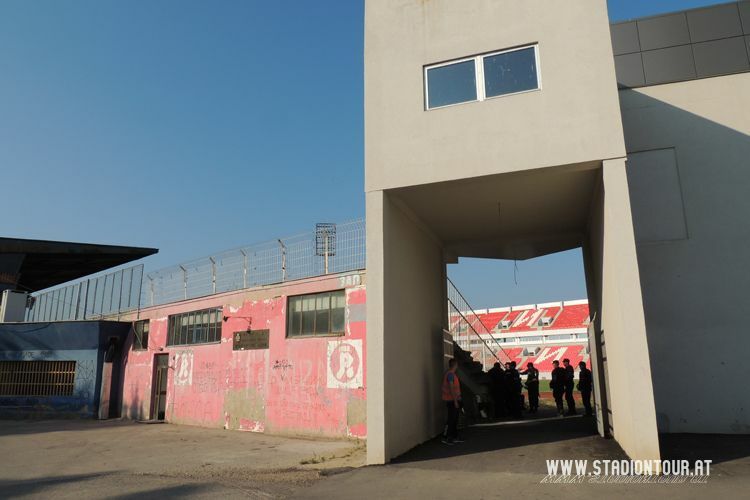 In 1995 the north and east stands were sealed off as a safety hazard and in 2008 the south curve joined them, leaving only the western grandstand in operation. 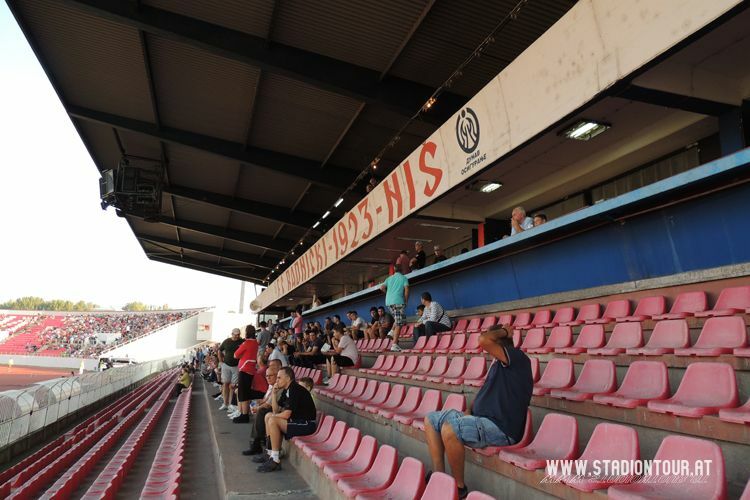 In 2006 that stand received some 3,000 seats, but this was clearly not enough. 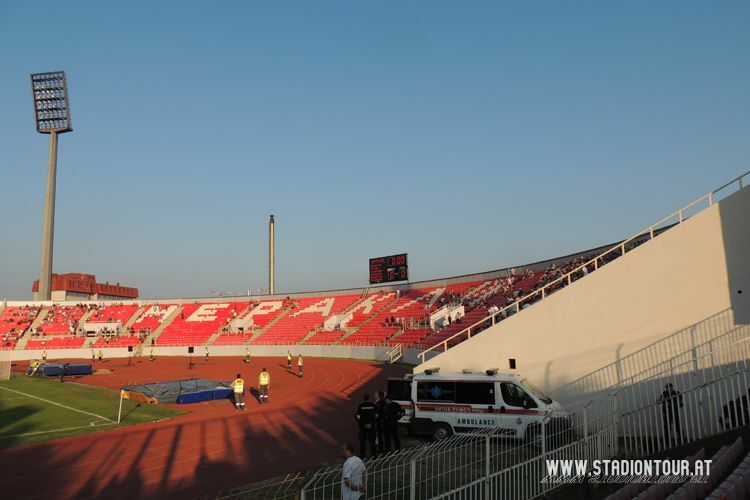 Thus, in 2011 the stadium’s first reconstruction began. 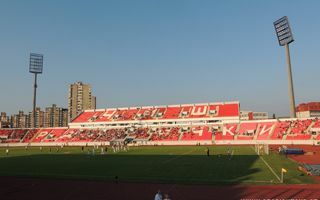 The phased project saw all three closed stands demolished and replaced with taller concrete structures, east side with two tiers. 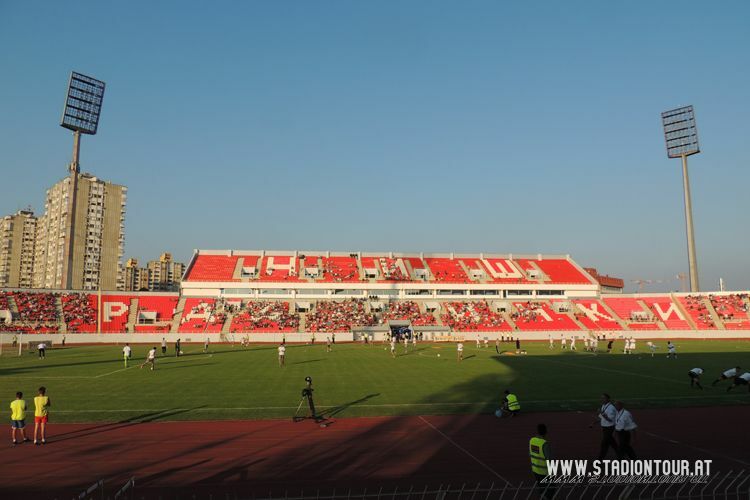 Despite spending the planned amount no roof was created and second phase (new western grandstand) wasn’t implemented to this day. 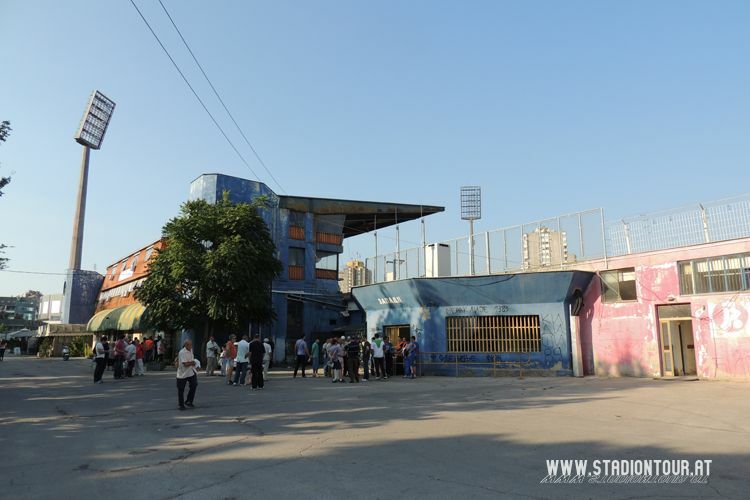 Upgraded for 1.5 billion dinars in 2013, the municipal stadium in Nis is gradually falling apart. 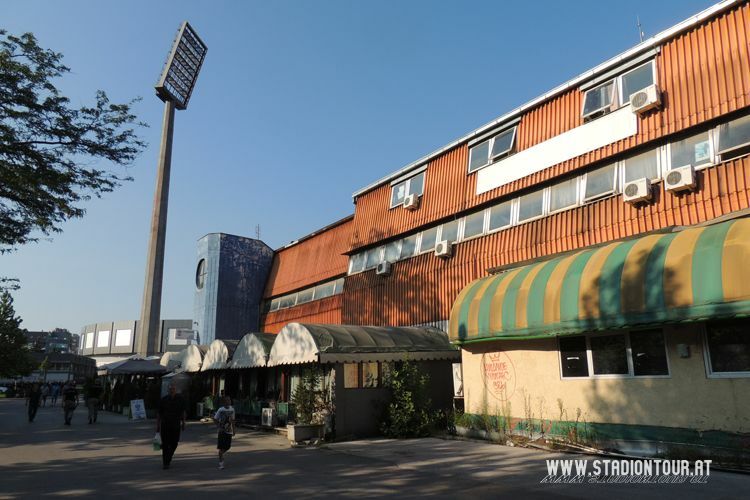 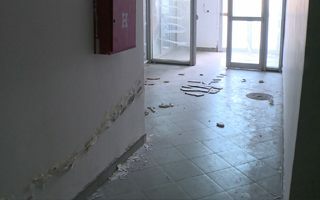 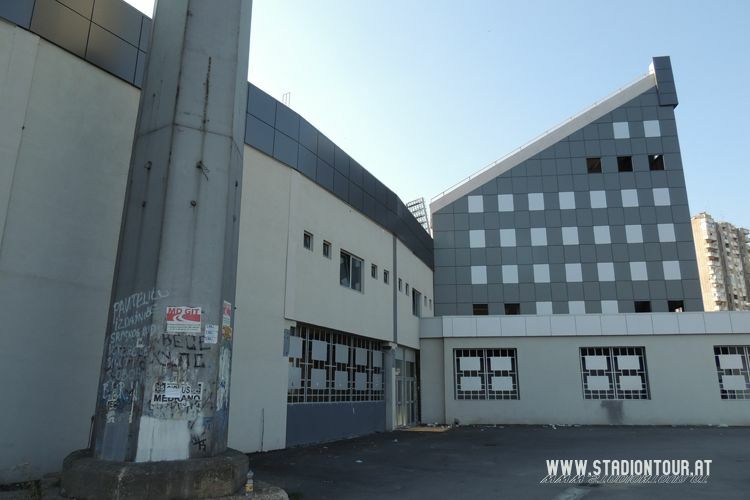 Walls cracking, paint and ceilings falling off, no water or electricity – that’s the sad reality for Radnički football club.